On January 25th at 6 PM (the Friday before PBA) we will have “Meet the Brotherhood”, a casual dinner for alumni and rushees. 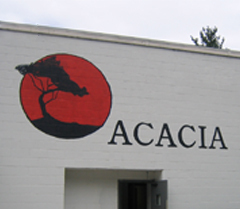 Our goal for this event is to show how Acacia provides lifelong connections, both personal and professional. Socializing with rushees is our main focus for any rush event, but we also want to share the achievements of our brothers after they have left RPI. We are planning a dinner to be served at 7 of Eggplant Parmigiana, Penne Alla Vodka, Sausage and Peppers, and beef Meatballs and red sauce, along with a salad and a meats and cheese board. Afterwards, we'll be having our annual PBA Hockey Game. We have spaces available to host you for the night. We only have a handful of mattresses available but there are plenty of couches, so please specifically mention when RSVPing if you want a bed. We would like to remind you that RPI has a ban on alcohol in fraternity houses, enforced by rush monitors, and therefore the house will be dry for these events. There are 2 houses already hit with the 2-year suspension this year under these current mandates from the administration at RPI. April 13th, we will be celebrating 70 years of brotherhood, so come on out to Troy and enjoy a weekend with the brothers! Please read this letter written by several of the RPI Fraternity Presidents. The letter is in regard to the new policies and news given by the administration. Its goal is to promote communication between administration, the Greek Life Task Force, and the Greek community, as well as make the voices of the Greek community heard. Please read and share this letter with other alumni who may not see this post. At this point I'm reaching out to the AIGC (alumni inter greek council) executive board and pledging Acacia's support in fighting this. International has already reached out to us offering their support as they received the same email the other day that has every greek organization on campus up in arms. My plea to all of you, consider suspending donations to RPI until we see what level of sanctions are being handed down to the greek system. If you need to make some donations for tax purposes please keep in mind that Rensselaer Acacia Corporation is a 501-c3. 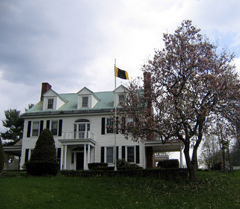 Learn about Acacia Fraternity and what we stand for. 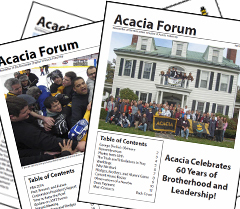 Go check out newsletters and other Acacia documents in the documents section! Are you an Alumnus? Click to pay your dues!